"What a great way to break in our new home track! I’ve been wracking my brain all weekend trying to come up with a word that best describes Saturday’s bout between Wasatch and Choice City, but the one that keeps coming back to me is “blowout”. I think you’ll agree, since the final score was 274 to 36, Wasatch. Although most games with this much of a point spread are usually boring to watch, this one was certainly not. 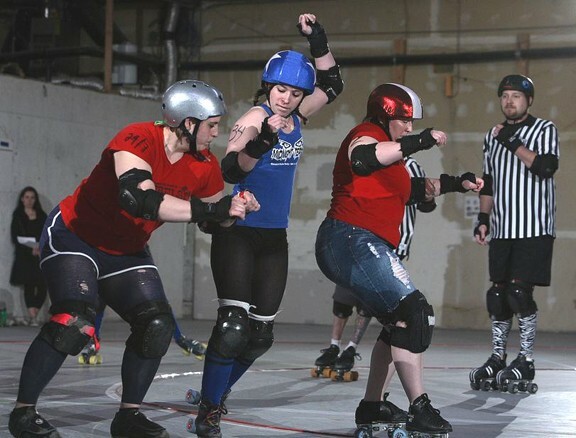 "The first half of the bout was dedicated to power jams, as both Ali3 Kitt3n and Skull Candi starting stacking up the points from the very beginning. Although the pack was fast, each of these ladies boasted 20 point jams during the first half and showed no signs of backing down any time during the game. 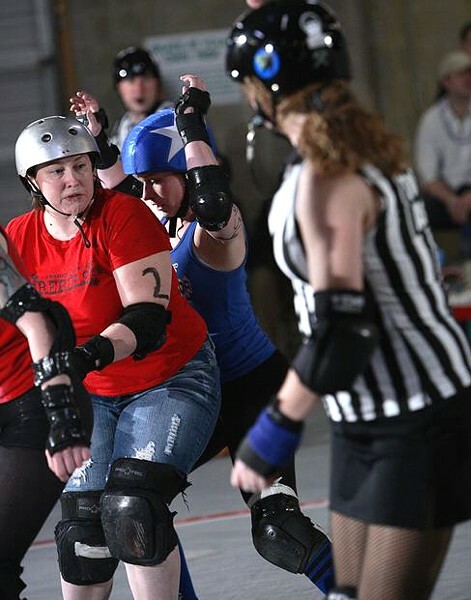 Wasatch newcomer, Moon Raker, pulled off a 24-point jam during this bout, once again showing why she is indispensable as a WRD’s newest jammer. "The score at half time was 152-22, Wasatch, and the ladies kept on with the beatdown through the remainder of the bout. WRD Blockers The Instigator and Smack & DeckHer did a great job holding back Choice City’s jammer, Mustache Rider, who was the high-scoring Jammer for her team with 13 points in a single jam and 15 total points for the game. Choice City, although able to put up some strong back walls, never kept it together long enough to hold back WRD’s jammers. The Rebels seemed to kick it up a notch during the last few Jams of the game, to no avail. They fought hard to the very end, but were no match against WRD’s more proficient skaters. 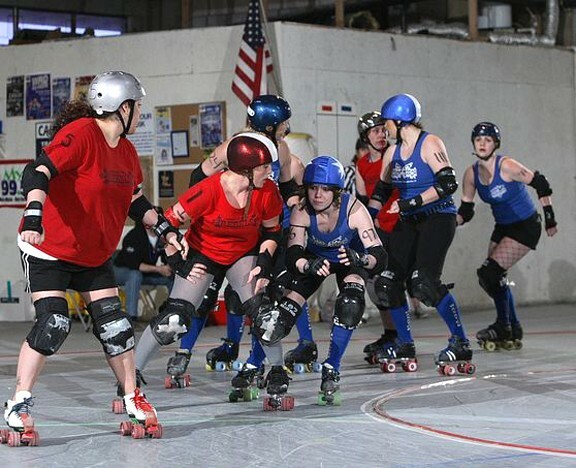 "Although WRD’s blockers were instrumental in the takedown of Choice City, the Wasatch jammers definitely stole the show: Skull Candi, scored a whopping 153 points during this bout (a personal best for her), Moon Raker took home a huge 80 points and Ali3 Kitt3n put 40 points on the board for her team. Although the Choice City Rebels show some promise as an up-and-coming team, they were no match for the ladies of Midnight Terror. We wish the Rebels the best this season and can’t wait to see them again next year!" 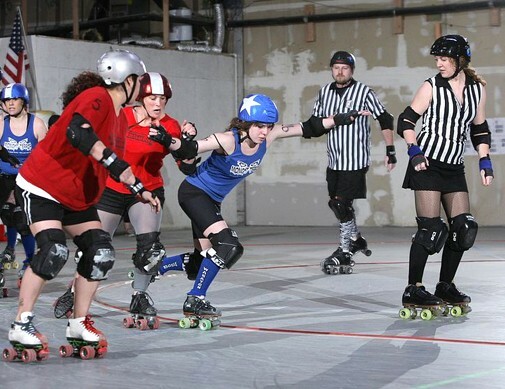 Next Wasatch Roller Derby bout: Saturday, April 2 at the Derby Depot (1417 S. 700 West); info and tickets at WasatchRollerDerby.com. Full local bout sked here at Utah Roller Derby 2011.